I saw these babies at Anthroplogie the other day and I kid you not, I stood there in front of the display in awe of how very happy something so simple could make me. 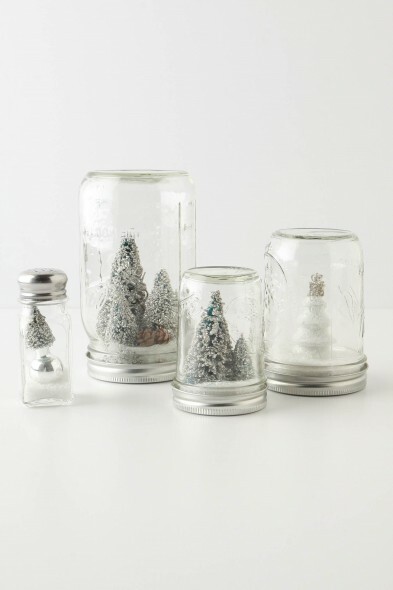 Here are the Anthro Mason Jar Snow Globes! Here’s my version! I did 12 for under $25.00! Take the top apart and glue your “pretties” to the inside of the lid! Some of my tiny things were so small that I glued layers of cardboard on the bottoms to give them a lift! 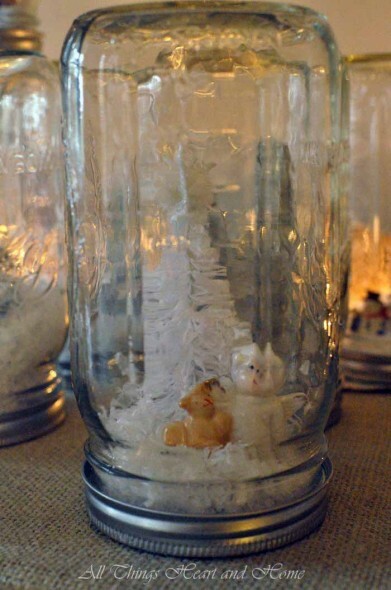 …this jar holds a little angel ornament that my mama brought to my daughter Stephie when she had to spend the night in the hospital – Stephie was only five years old and she and I had spent a sleepless night in the children’s hospital in Atlanta. Mama blew in before 5:00 in the morning with a cup of hot coffee for me and for Stephie she had wrapped a box of Chistmas angels to hang on her tree. I love that memory, it’s so like Mama. This little pink victorian house was one of bunches of pink-house ornaments I bought 23 years ago when we moved into this house. I still hang these on my girly tree in the dinning room. 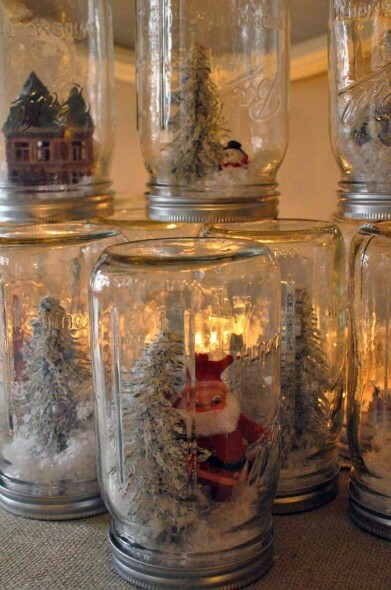 Wouldn’t these mason jars be great little memory keepers? Every jar could come with a story…sigh. I’m thinking these would make great party favors! Or put in a favorite childhood ornament and give one to your grown up kid to help them keep their memory! Don’t ‘cha love it when something so simple makes you smile? I like yours better than the originals! 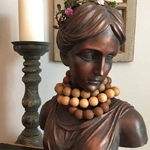 What a great way to use some ornaments no longer being used! Wouldn’t it be fun to keep several by the door and give them away as people come and go during the holidays? wow I think the boys would love to do this. I think we will try it. Have a great day!!! 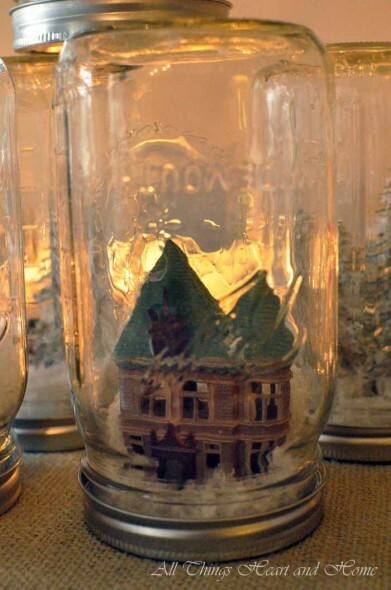 Hi – I am a new follower and I LOVE your snow globes. What a great idea and it looks too easy! These are so adorable. Doesn’t it just boggle your mind how much stores charge for things? That little tidbit about your mom made me cry. Did she know you or what? She was such an amazing woman and you are just like her. Miss her! 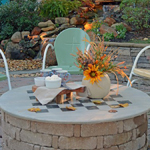 Hi Robin, I’m a long-time lurker and just had to tell you this idea is simple, charming and very doable for me. Thanks for the great pics and idea! Joanie in snowy southeast Michigan. Robin, these are darling. What a neat idea! 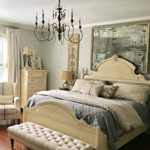 I love, love, love your blog. Hi Robin! Haven’t commented in awhile but have been following regularly. 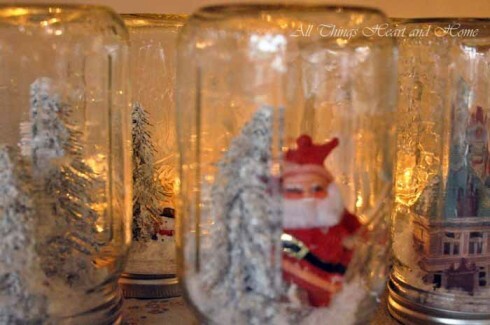 Love this idea and am planning on making them for our Annual Christmas Party favors. 🙂 I know you are a big fan of fabric too so I’ll ask you this question- I have tons and tons (times 10) bags full of antique linens. Precious embroidered linens. Not sure what to do with all of them. Some are napkins, hankies, placemats, table cloths…. Any ideas? How adorable! 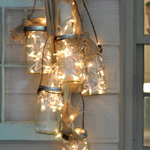 I think I’ll make a gaggle of them using momma’s old canning jars in the attic to set high on top of the entertainment center, add a few sparkly lights behind them, and wa la, it’s Christmas. Thanks for the inspiration! 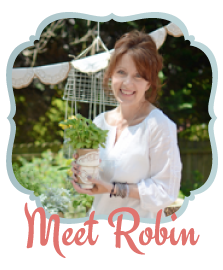 Those are so cute Robin! I have a couple of cute pickle jars with rounded sides, I’ve been keeping. Waiting for the perfect use for them — I might have just found it. 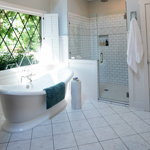 Now I’m wishing I hadn’t gone on a cleaning binge a couple of weeks ago. I threw away 4 or 5 more. Completely ah-dorable 🙂 And easy to make! Love love love these! I to was stopped dead in my tracks completely I awe of the cuteness at Anthro. But personally I have enjoyed yours much more! Liked your idea about making them for favors! one for Christmas as a surprise. Wow, so pretty. I think yours are more gorgeous than the originals! Was wondering if you fill the jars with water? When I hear snow globe I think of the ones you shake up and the snow swirls around. They are super cute and I plan on making these for presents next year. Thanks for the idea! These look wonderful – are they filled with any kind of liquid like mineral oil? Sorry to be such a literalist, but do you put water in them? I PROMISE, I’m not going to ask if you put water, or oil in them……LOL. I was, however curious, not putting liquid in them, why you used such large sized jars. Inquiring minds want to know….hehehe. Just personal choice, I’m assuming….??? Zan, I used them to decorate a sofa table and that’s the size I thought might be good! 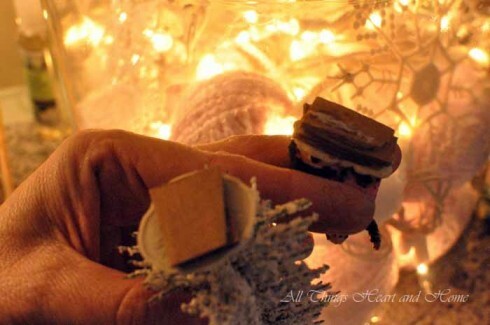 I used tiny lights and they looked great, then I gave them as party favors at a Christmas party! 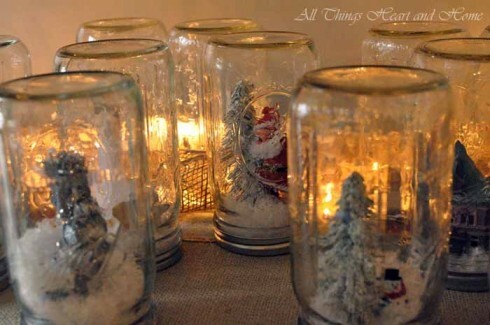 Im going to make these and even put in a battery operated tea lite in back to light it from within! I love this idea! Im feeling crafty lately but get bored doing one thing like knitting over and over! 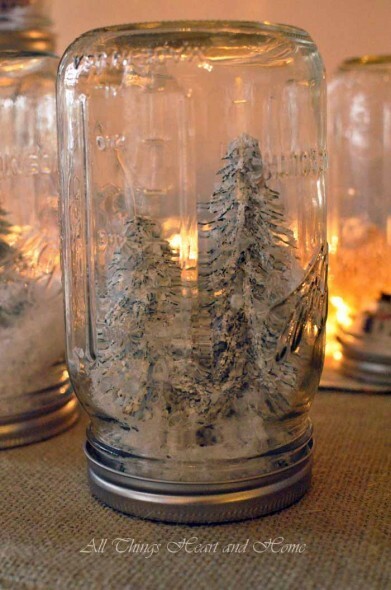 Could you put water / mineral oil in with this project to make it more like a traditional snow globe? I know you don’t but *could* you? 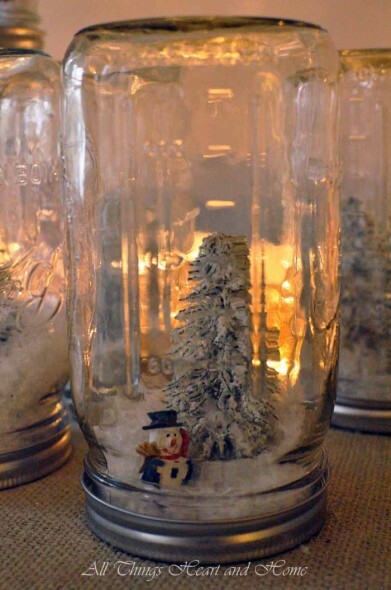 Agent handy, there are tutorials of diy snowglobes doing just that! I wouldn’t do it with this one but google and I know you’ll find one to try! These would also be great with I picture attached. You could hang it from the top with a string hot glued to the top or lay down a strip of hot glue on the lid and stick your pick in it for a stand up pick. You could also use a small piece of twisted wire stick in hot glue. Just an idea! these are simply adorable. but the snow globes i remember had water in the and you could shake them to see the snow coming down…can you do this except use white irredescent glitter instead of the fake snow. When working with “Crazy Glue” type adhesives, as an added protection against gluing your fingers together, surgical type gloves work wonders. If, like I often do when working with this type of adhesive, you should accidentally glue your fingers together, wearing these gloves will protect your hands by keeping the glue on the glove(s) & off the hands. I refuse to do anything with this type of adhesive unless I’m wearing gloves. I’m lost, a snow globe is wonderful things inside that when you shake it, it snows. Yours are fantastic but you didn’t mention what kind of confetti you can use. I have never seen water proof confetti and where can I buy it? Nancy I was inspired by the ‘snow globes’ at Anthropologie with no water. Personally, I love snowglobes that DON’T have liquid inside them. Pack those away and next Christmas, you have broken glass, ruined whatever was next to it, and mold. This is simple and a careful kid (whatever their size or age) can still shake them gently and resettle the snow! 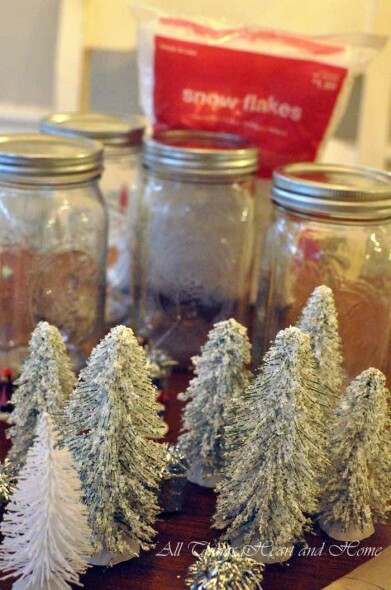 Made a bunch this year and used a mix of vintage cotton snow and diamond dust (snow glitter). Painted glitter glue on stuff, then a bit of snow glitter for extra bling. 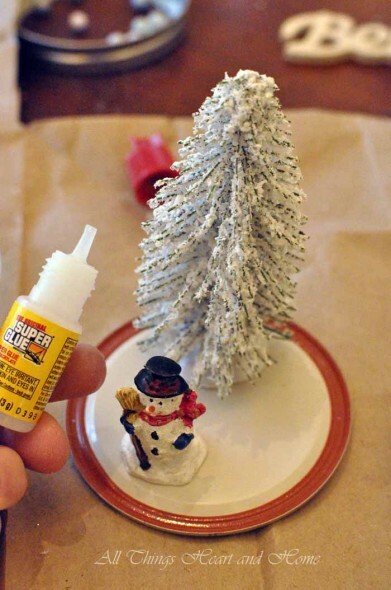 Also to cover holes made in ornaments by removing their hanging string. I have spent the summer looking in yard sales/flea markets for Matchbox-type trucks so I could tie a bottle brush tree to them with baker’s twine! One got touched up with my red nail posish!